Of the East Lake Meadows public housing project before revitalization, says Carol Naughton of Purpose Built Communities, “the only thing that was working was the drug trade.” Frequently called “Little Vietnam” – as in, a war zone — the Atlanta neighborhood grappled with extreme poverty, violent crime, abysmal educational outcomes and high unemployment. The poorly built, 40-year-old public housing was in severe disrepair. For kids, East Lake Meadows functioned mostly as a pipeline into the Georgia penal system. Of the East Lake Meadows public housing project before revitalization, says Carol Naughton of Purpose Built Communities, “the only thing that was working was the drug trade.” Frequently called “Little Vietnam” – as in, a war zone — the Atlanta neighborhood grappled with extreme poverty, violent crime, abysmal educational outcomes and high unemployment. The poorly built, 40-year-old public housing was in severe disrepair. For kids, East Lake Meadows functioned mostly as a pipeline into the Georgia penal system. Eva Davis, a resident of the complex since 1971 and an influential leader in the community, had been agitating for improvements for years. Finally, in the early 1990’s, the stars began to align to revitalize the community into what it is today. 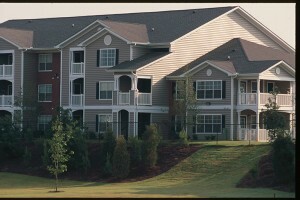 Kickstarted by a grant that the U.S. Department of Housing and Urban Development (HUD) made to the Atlanta Housing Authority (AHA) to repair East Lake Meadows, the project accelerated when Atlanta real estate mogul and philanthropist Tom Cousins approached the AHA with a broader vision for transforming the neighborhood. For kids, East Lake Meadows public housing functioned mostly as a pipeline into the Georgia penal system. Over a period of two years AHA, the East Lake Meadows Residents Association, and Cousins’ newly founded East Lake Foundation (ELF) developed a plan to replace the substandard public units with high-quality mixed-income housing; create an education hub with an early childhood education center, a charter school, and robust after school programming; revitalize a nearby private golf course to provide a revenue stream to support neighborhood revitalization; create a public golf course and recreational amenities for residents; and bring in a grocery store. The core components of the project took 10 years to build, with the ELF serving as the “community quarterback” to safeguard and implement the new vision. And though health was not an explicit focus early on, by creating high-quality housing, a strong “cradle-to-college” educational system, economic development, and a safe, stable and appealing neighborhood, the project addressed fundamental factors that contribute to good health and well-being. Project Status: Project launched 1995, now well established and showing impressive results. The revitalization of East Lake was set in motion when Cousins learned about the connection between neighborhood and life outcomes, particularly incarceration. Cousins pulled together a core team of a group of civic, business and community leaders, individuals willing to use their skills, relationships, and clout and to bring their own resources to support the East Lake project. It took these newcomers two years of convening both formal community meetings and informal ‘get to know you’ sessions to earn the residents’ trust and garner their support for change. A key turning point came early on, when the project team sought community approval. ELF and AHA called a community meeting with residents of East Lake Meadows to propose a three-step process that would include demolishing the existing housing, moving residents off-site to temporary housing, and building new housing to which residents would return. AHA was legally required to seek resident input; however, alongside ELF, AHA went a step further by putting the proposal to a resident vote, both to build trust and confirm that residents were truly on board with the plan. Carol Naughton described the scene: “The drug boys were lined up at the back of the room,” in opposition, but despite this, with resident Davis’ encouragement and leadership, the rest of the residents in attendance approved the plan. The deal was formalized with a memorandum of understanding between the project team and the residents’ association. Both construction and financing of this ambitious, $172 million redevelopment rolled out in phases, with ELF pulling together funding and financing and ensuring that the whole effort continued to move forward. In a surprising and visionary early step, ELF purchased a nearby historic private golf course that had fallen out of use, seeing the golf course as an asset that could provide a revenue stream for the revitalization of the distressed neighborhood. To replace the outdated public housing with new mixed-income housing (50% reserved for residents who qualified for public housing, and 50% to be rented at market rate), AHA’s HUD grant was redirected to East Lake, which used some of the grant to house residents during construction. Low Income Housing Tax Credits (LIHTCs) and a state bond also helped finance the housing. Education was a vital pillar in the vision for the new East Lake, and with a focus on creating a vibrant sense of place for the neighborhood, the East Lake partners were committed to locating all of the “Education Village” components within the neighborhood. Since the Atlanta public school system was not interested in siting a school there, the team built Atlanta’s first charter school, the Charles R. Drew Charter School (initially K-8, now two campuses K-12), along with an Early Learning Center and a new YMCA facility. Other key parts of the education and youth development plan include academic support, and afterschool and summer programming. For example, the First Tee program works with young people to build life skills through the sport of golf; and the CREW Teens after school academic support program helps teens prepare for college and careers. 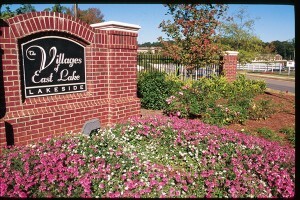 With a focus on creating a vibrant sense of place, the East Lake partners were committed to locating all of the “Education Village” components within the neighborhood. The historic private golf course that abuts the East Lake neighborhood was acquired through a bankruptcy sale. The CF Foundation restored the course and clubhouse with the intent that revenue from the club would support community services in the neighborhood. One hundred new corporate memberships were offered by invitation to national and local corporations (individual memberships are not offered), and all accepting corporations made donations to the East Lake Foundation between $200,000 and $300,000. Corporate memberships alone raised over $20 million that was directed towards renovation of the golf course and invested into the neighborhood revitalization. ELF then built the Charlie Yates Golf Course, a public course that serves as the home of golf-based youth development program First Tee of East Lake. Like the East Lake Family YMCA, the Yates Course is one of the places where people from both inside and outside the neighborhood connect. Both golf courses are important economic and fundraising anchors for the community, providing a sustainable income stream to support community services and the education component. A flexible line of credit provided early on by the CF Foundation helped the project to move forward on time or occasionally even ahead of schedule. This consistency and progress, in turn, reinforced the trust of the community residents as they began to see the changes that had been promised. One of the earliest comprehensive community revitalization efforts in the country, East Lake is showing impressive results and serves as an example of how holistic, multifaceted community development can dramatically improve major social determinants of health for a distressed low-income neighborhood. 90% reduction in violent crime. 5% of subsidized housing residents on welfare (versus 59% in 1995). 100% of non-disabled, non-elderly adult subsidized housing residents working or in job training (versus 13% employment in 1995). 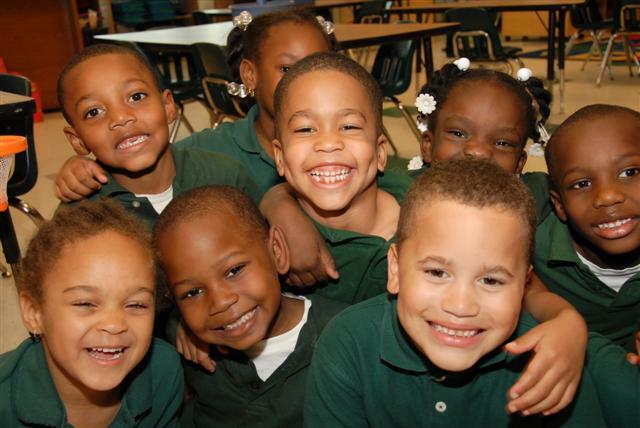 98% of Drew Charter School students grades 3-8 meet or exceed state standards in core subjects. ~80% of Drew students graduating high school (versus 50% of all Atlanta Public School students and 67% statewide). >80% of graduates in 2012 of CREW Teens high school academic support program went on to college. Reduced crime and reduced incarceration not only improve residents’ quality of life but improve the economic benefits for both residents and the community as a whole. Improved educational outcomes promise improved lifetime earnings for students – in 2007, projected increased lifetime earnings for graduates of Drew Charter School, then K-8, were calculated at $165,000 per student. In addition, neighborhood residents now have access to healthy food through the new grocery store, community gardens, urban farm, and farmers market. They also have better avenues for regular physical activity, thanks to a safer and more walkable community with extensive recreational facilities and programming. Cross-sectoral partnerships have been key to the revitalization of East Lake, guided by the strong and visionary leadership of the East Lake Foundation. Key organizational partners included ELF with its board of local and national influencers, the Atlanta Housing Authority (AHA), Atlanta Public Schools, the YMCA of Metro Atlanta, and the East Lake Meadows Residents’ Association. 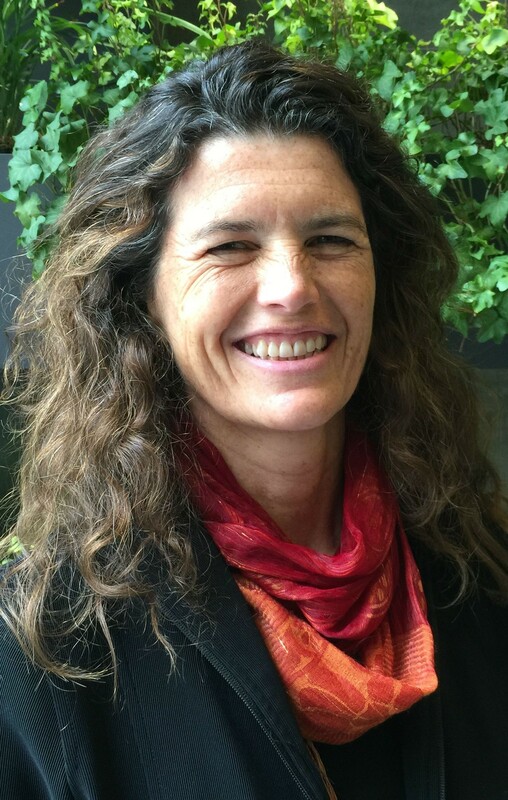 Naughton notes that throughout the project, the partners involved had to be willing to push – push agencies, policies, other stakeholders, each other – to do things differently, in order to achieve their shared vision. She calls this “disruptive leadership,” and says it has been essential to accomplishing a project of this scope and vision. “Disruptive leadership” has been essential to accomplishing a project of this scope and vision. Serving as a “community quarterback,” the East Lake Foundation uses both what Naughton calls a “hub and spoke” model of partnership, combined with a more typical collaborative approach. ELF forms direct, one-on-one relationships with program and service partners, in some cases providing grants tied to specific measures. Collaborative efforts are coordinated through regular quarterly meetings convened by ELF, bringing partners together to plan interlinking efforts. The foundation periodically assesses which partners are still relevant to the community’s vision, where there may be gaps that require engaging new partners, and regularly brings new partners on, or when an agency’s or organization’s work in the community reaches completion, helps existing partners phase out as appropriate. With an eye toward sustainability, the foundation makes a point of assessing service and programming partners both on the quality of their programming and on each partner’s independent fundraising capacity. The project required $172 million to fund core components including 542 new units of high quality, mixed income apartments; an early learning center serving 150 infants and young children; a new charter elementary school and new 6-12 charter school; a YMCA; a new 18-hole public golf course; and renovation of the existing historical private golf club. Before the project started, the AHA had already been awarded a $33 million Major Reconstruction of Obsolete Projects Program grant from HUD to renovate the old East Lake Meadows. This grant was redirected to build the new high-quality mixed-income housing, as well as to fund relocation for those residents who preferred to move out of the area and to build off-site housing for remaining residents during the transition period. Although LIHTCs existed in the 1990s, those credits offering a 9% rate – the rate needed for the project to work financially – had already been fully allocated and were not available. 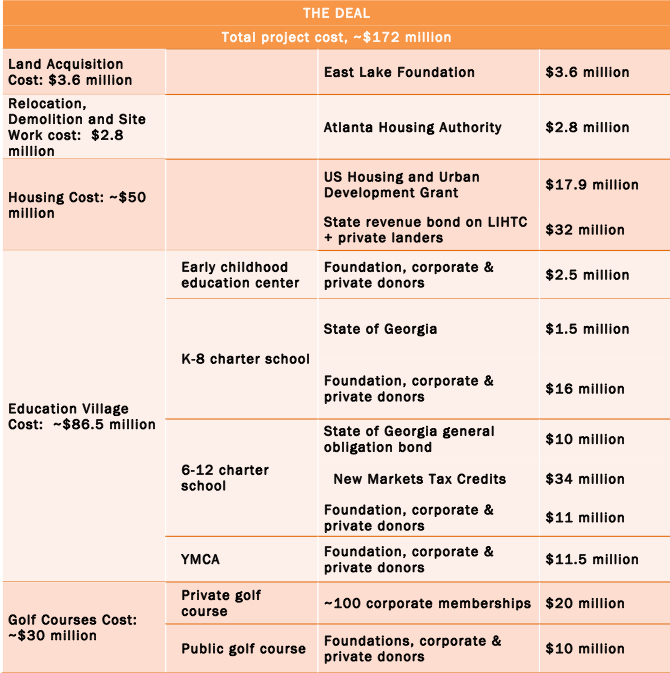 Rather than wait until more 9% LIHTC funds were available (likely five years or more), the East Lake Foundation approached the state governor about introducing revenue bonds linked to 4% LIHTCs to secure funding for the housing. The foundation also worked with Bank of America, Prudential, Sun Trust, Enterprise Social Investment Corporation and other private lenders and investors to secure capital. Because 50% of the apartments were reserved for families who qualified for public housing and 50% were to be leased at market rate rents, the financing was unusually complex. Today’s more sophisticated financial markets, says Naughton, would have made financing the housing easier. The second major chunk of funding needed was $31.5 million to build the Education Village – including Drew Charter School (initially K-8th grade), the YMCA, and the Early Learning Center. The East Lake partnership was committed to concentrating all of these resources within the neighborhood. The Atlanta Public School system “didn’t have a real estate strategy,” says Naughton, and was not interested in siting a school in the neighborhood, so the East Lake Foundation secured $1.5 million from the State of Georgia and another $16 million from foundations, private corporations, and individual donors, to build the charter school. ELF and the YMCA worked together on a successful campaign to raise $11.5 million to build a new YMCA facility. Finally, the East Lake Foundation raised $2.5 million to build the Early Learning Center. In 2013, ELF secured $55 million to expand the Drew Charter School, adding a new campus serving grades 6-12 enabling the school to support students all the way through high school graduation. A General Obligation state bond provided $10 million for the new campus. New Markets Tax Credit investments from PNC Bank, Community Affordable Housing Equity Corporation (CAHEC), the Low Income Investment Fund (LIIF), and Urban America supplied $34 million. ELF raised the remaining $11 million from corporate, foundation and individual donors. Using the slogan “golf with a purpose,” ELF sold corporate memberships to raise money to renovate the private golf course and club facilities, creating a world-class golf course. In addition, corporate members were encouraged to make donations to the foundation of between $200,000 and $300,000. Memberships alone raised over $20 million which was directed towards the golf course renovation and invested into East Lake neighborhood revitalization. To add the public Charlie Yates Golf Course, ELF raised $10 million in corporate, foundation and individual donations. Both golf courses are important economic and fundraising anchors for the East Lake community, providing sustainable income to support community services and programs. An annual tournament at the private course sponsored by Coca Cola is an important fundraiser for the East Lake Foundation and the First Tee program. Throughout the project, ELF, its board of directors, and key partners leveraged their networks to raise money to support the revitalization of the East Lake neighborhood. But because fundraising takes time, the CF Foundation created a mechanism to accelerate the project’s development timeline. For example, the money pledged to build the Education Village came in over a four-year period. In the meantime, the CF Foundation provided a $10 million rolling line of credit to the East Lake Foundation at a favorable interest rate to serve as a bridge loan. This line of credit allowed ELF to move ahead with building the charter elementary school before all the pledges were received, accelerating the project timeline by over two years. An influential resident leader and committed partners worked to build trust and strong relationships with East Lake Meadows residents, and subsequent vote by community residents to endorse the project. An influential business leader recognized the connection between neighborhood and life outcomes, particularly incarceration, motivating him to leverage his influence and assets to work to improve a distressed neighborhood in his home town. HUD funding was redirected to fund redevelopment using a mixed-income approach, rather than renovate existing housing. A golf course that had fallen out of use was turned into an asset and economic engine for the community. Project components were sequenced, which enabled the East Lake Foundation and its partners also to fundraise and finance sequentially. After 10 years, the neighborhood schools will be in the top 10% of schools in their state and top 5% among schools with similar demographics. The neighborhood will be in the top 25% for safety. After revitalization, in neighborhoods where flight and disinvestment have had depressed real estate values, property values will increase three times as much as the rest of the city or region, indicating that people are coming back to the area. East Lake Foundation strives to keep things simple and transparent when measuring outcomes, relying on publicly available data and using them in ways that could be replicated by anyone else accessing the same data sets. East Lake Foundation strives to keep things simple and transparent when measuring outcomes, relying on publicly available data and using them in ways that could be replicated by anyone else accessing the same data sets. School outcomes are measured using standardized testing scores introduced through the No Child Left Behind initiative. Early childhood program outcomes are measured by kindergarteners’ “readiness to learn” data collected when children start school. Crime and public safety outcomes are measured using publicly reported data from the Atlanta police department, and manually counting incidents within the neighborhood (precincts do not squarely overlap the area of interest). While no data is yet available on health outcomes, East Lake’s new Healthy Connections program now collects data about residents’ health insurance coverage and whether or not they have a medical “home” (an ongoing relationship with a primary care provider). Nevertheless, East Lake Foundation and Purpose Built Communities would like more data and better understanding of the outcomes they are seeing. For example, says Carol Naughton “I wish we had weighed every child at the charter school every year.” Though East Lake has no formal anti-obesity program, anecdotal evidence suggests that obesity has been all but eliminated in neighborhood children. Naughton attributes this positive change to a series of smart decisions from the outset, including the design of the housing, well-lit and appealing streetscapes, locating the neighborhood schools within walking distance for resident children, daily school recess, and physical education three times a week. “You look around and none of the kids are overweight here,” says Naughton. More subtly, ELF would like to understand how the combination of changes it has implemented work together to produce the noticeable outcomes. For example, does participating in the First Tee golf program (children and youth must show up on time, properly dressed in order to keep their tee time, and must play a sport that requires calm, poise and persistence) contribute to improved graduation rates and increased employment? East Lake and other Purpose Built sites are exploring partnerships with universities to help measure these more complex questions. The neighborhood scale is large enough to be significant, yet small enough to go deep and create real transformation in the experience of a place — this scale can create a “tipping point” for the neighborhood, with ripple effects in the surrounding area. Location is important. To attract mixed income residents and additional investment as well as provide a launch pad for families already living in a community, a neighborhood must have proximity to a few assets or opportunities– such as a nearby healthier neighborhood, easy transportation access, jobs in a nearby downtown, or a potentially attractive recreational amenity. Existing factors like these make revitalization more likely to be successful. A larger city or regional strategy could be built around revitalization well-situated neighborhoods first, and expanding from there. When looking for partners, look for individuals and organizations willing to engage in “disruptive leadership,” and bring in a diverse range of actors with varying perspectives. Choose partners who are good at what they do and have the ability to fundraise independently. Buy more land than thought required, early on while property values are still low.